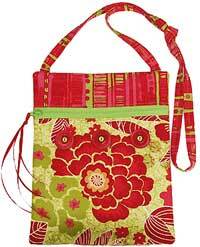 The Runaround Bag Pattern by Lazy Girl Designs is a handy small bag pattern that has an easy to install zipper and a comfortable shoulder strap. 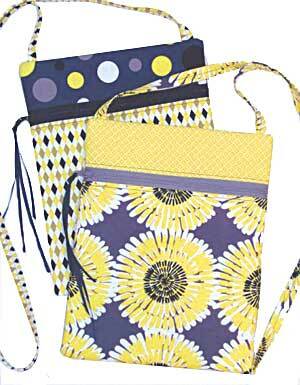 The Runaround bag pattern is a great little purse that is fat quarter friendly to carry you through your busy day with a back pocket and a zip closure. 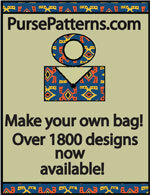 Finished size is 7" x 9" and instructions for the zipper are very easy to follow. Items for Decoration - Several buttons 3/4" or larger. Ribbons, beads, etc. 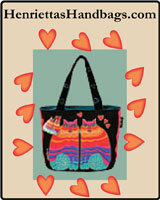 This PDF bag pattern has a total of 7 pages. There is a 1 page cover photo, 4 pages of instructions and illustrations, and 2 pages of pattern pieces.